I'm now selling my prints through Fine Art America, one of the top fine art printers and framers in the US. It's the same quality that I offer, but the prices are lower. Now you can try out different frames, papers, matt colors or gallery wrapped canvas options right on the website. And there's a 100% Full Money Back Guarantee. Print prices start at only $38.50. And note cards are only$5.95. 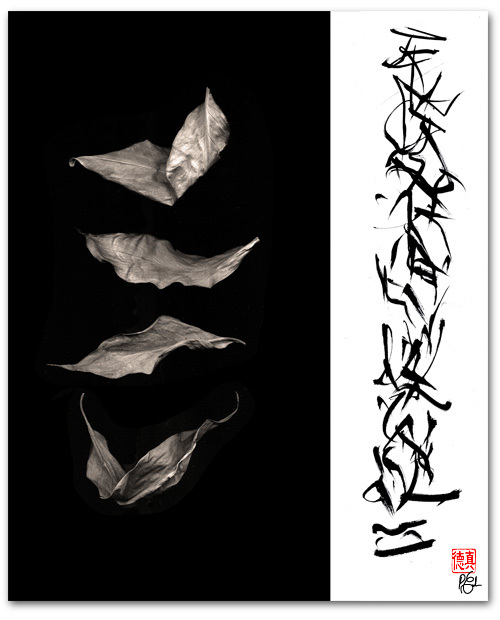 I'm just beginning to add all the artwork to my new Fine Art America Zen Brush gallery. If you want one of the prints and you don't see it on my Fine Art America gallery yet, send me an email and I'll make that one a priority. Here's a link to my Fine Art America Zen Brush gallery. You can still buy custom prints directly from me as always. Just let me know what you want. To purchase any of these paintings as museum quality prints, simply send an email to: peter@zen-brush.com. In the subject line write: Zen Brush paintings. In the body of the email write your contact information: name, email address, shipping address, and phone number if you'd like a phone call from me. Write the name of the painting(s) you're interested in and the size, format (archival paper, framed or unframed, gallery stretched canvas, canvas hanging scroll) and cost. If you send a check by mail, please also include a note giving your name and shipping address, the name of the painting(s) you want to purchase, the size, format of the print (archival paper, framed or unframed, gallery stretched canvas, canvas hanging scroll, etc.) and the cost. I think the word "appointment" sounds a bit stuffy. I'm usually here, but why make a wasted trip if I'm not? So please call or email first before coming. If you call and don't reach me in person, leave a message for Studio 525. That's my studio. And if you have any questions about the paintings or the prints, feel free to contact me. Follow Zen Brush on Facebook and Twitter.